Phil Foden's second-half double saw Manchester City beat Newport County 4-1 at Rodney Parade to progress to the FA Cup quarter-finals. After an evenly matched first 45 minutes, Sane opened the scoring after 51 minutes with his 12th goal of the season, before Foden doubled City's lead with a quarter of an hour left to play. Newport striker Padraig Amond briefly gave Michael Flynn's men hope of a stunning fightback by pulling a goal back in the 88th minute, only for late strikes by Foden - just 71 seconds later - and Riyad Mahrez to seal the contest. As a result, City's quadruple hopes remain alive ahead of their midweek trip to Schalke in the Champions League, while Newport - playing in the fifth round of the Cup for the first time in 70 years - can return to their League Two programme with heads held high. Newport actually controlled large parts of the first period and could have been leading at half-time had it not been for a breathtaking reaction save by Ederson just before the quarter-hour mark. After Jamille Matt had managed to get a flick to Mickey Demetriou's long throw, Tyreeq Bakinson - lurking unmarked at the far post - was denied by the Brazilian's fingertips. The Premier League champions were not without their own moments of threat in the first 45 minutes, but Joe Day's outstretched leg prevented Mahrez's early shot from finding the far corner, before Sane thumped a shot off the outside of the bar. With the scoreline still goalless at the break, Newport joined a select band of four other teams to have prevented Pep Guardiola's star-studded line-up from scoring in the first half of a game this season. Six minutes into the second half, though, the visitors - no doubt driven on by some half-time words from Guardiola - did make the breakthrough following an exchange of passes down the left between Sane and Gabriel Jesus. Sane still had a lot of work to do, but from an acute angle towards the byline, the German powered a shot through Day at his near post, leaving the Newport No 1 with a bloodied nose for his troubles. However, City did double their lead with 15 minutes to go as Foden won the ball on halfway, before driving forward and beating Day with a low shot which the 'keeper will feel he should have kept out. 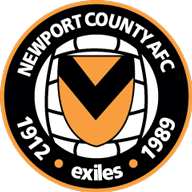 Newport made two changes from the side that lost to MK Dons in midweek, with Mark O'Brien and Joss Labadie replacing Fraser Franks and Ben Kennedy. 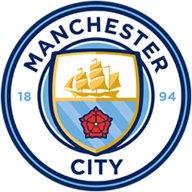 City, meanwhile, made seven changes to the team who beat Chelsea 6-0 last Sunday, with the likes of Nicolas Otamendi, Danilo, Leroy Sane, David Silva, Phil Foden, Riyad Mahrez and Gabriel Jesus all starting, while Sergio Aguero was not even in the squad. Amond was alert enough to take advantage of a mix-up at the back with an opportunistic 88th-minute strike, only for City to immediately respond through Foden's mazy dribble and shot and Mahrez's powerful near-post drive in stoppage time. Foden made the most of his rare start and continued his fine goal-scoring record in the cup competitions. The midfielder netted with two smart finishes, taking his tally to five goals for the season - they have all come in domestic cup competitions. A constant threat to the Newport defence, it will not be too long before Foden is handed his first Premier League start if his performance levels remain this high. WATCH: Alarm bell ends Pep presser! Newport travel to bottom-of-the-table Notts County in League Two on Tuesday night. Meanwhile, City visit Schalke in the first leg of their Champions League last-16 tie on Wednesday evening, before facing Chelsea in the Carabao Cup final at Wembley a week on Sunday, with that show-piece event getting underway at 4.30pm live on Sky Sports Football.